When we bought our house this spring we found a potted plant abandoned in the backyard. It had overgrown its container months ago and several of the leaves at the bottom were dead. Oh, and did I mention it attacked you anytime you got near it? The thing had razor sharp points on it and was impossible to move. So for months it sat there. Somehow, even without any love, it lived (the plant that lived – where are my HP fans?). I decided to repot it and give it a new life. 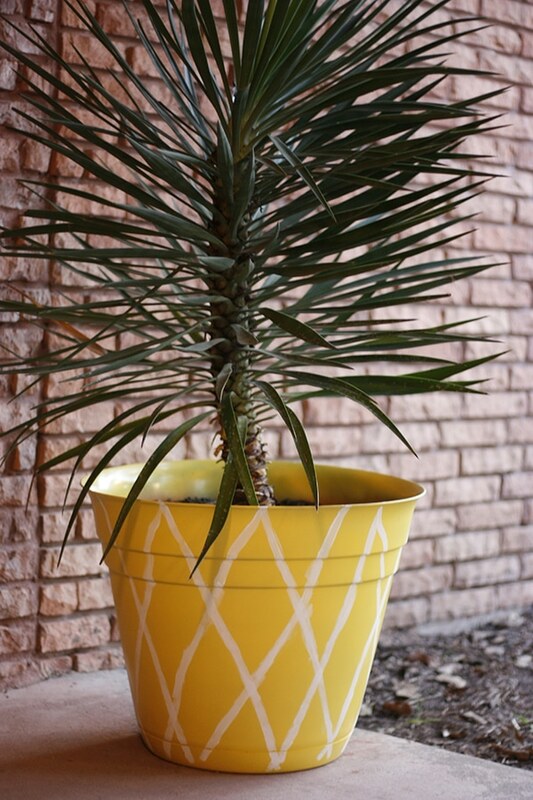 It reminded me of a pineapple top so I searched for a yellow pot to make it a new home. 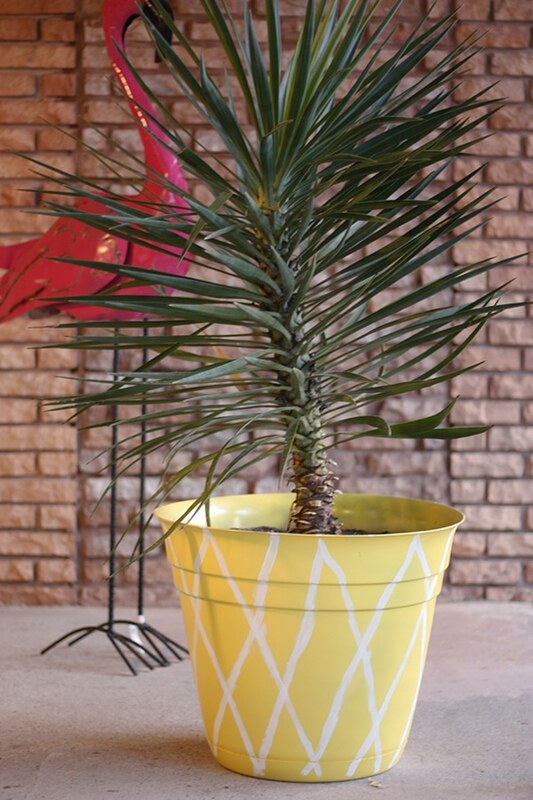 Would you know it – I couldn’t find a bright yellow pot anywhere! On a trip to Lowe’s I came across some pots in the clearance section and snagged a large pot for less than $10! With a can a spray paint I made my own yellow pot. I had to call in reinforcements to get the thing moved to the new pot and had to wrap it in a towel to avoid losing an eye, but we did it! 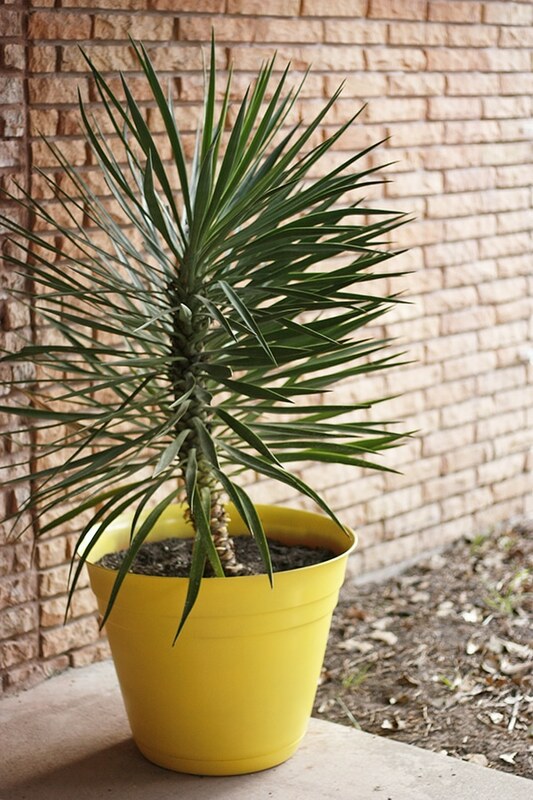 We gave an abandoned plant new life with a pineapple pot. It’s an easy DIY you can do yourself with a large or small plant. 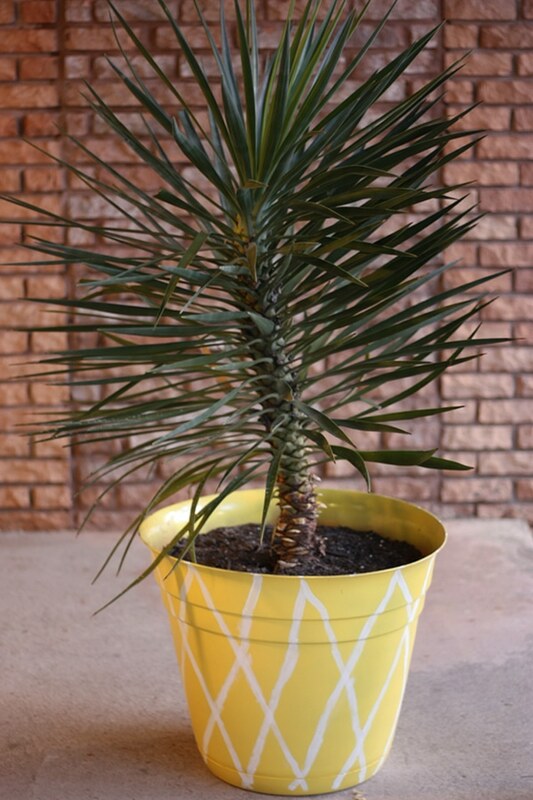 We gave an abandoned plant new life with a pineapple pot. It's an easy DIY you can do yourself with a large or small plant. 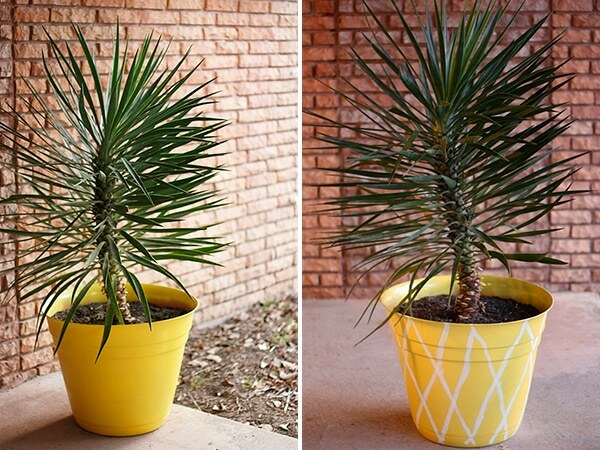 Use spray paint to change the pot to yellow. I added the white stripes to make it look even more “pinapple-y”. I used some white acrylic paint I had in the craft room, so we will see how it holds up. 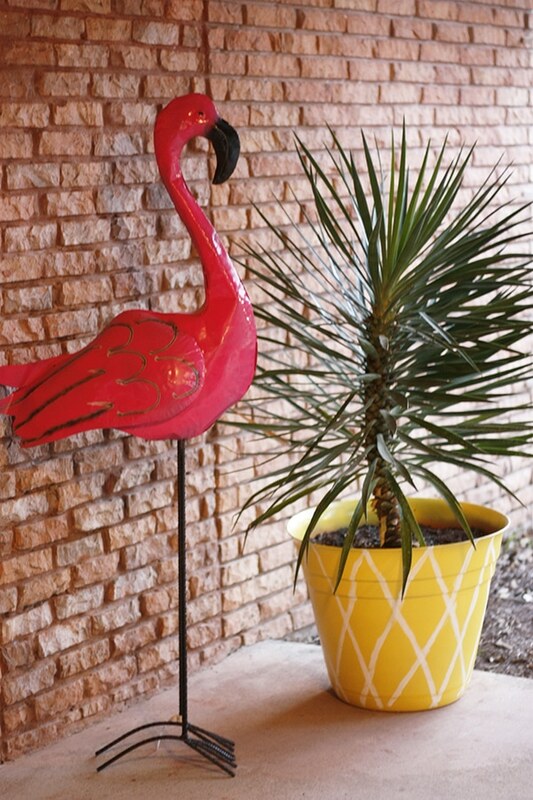 My new pineapple pot is the perfect companion for my 5 foot flamingo on the back patio! So cute!! Now keep that squirrel out of this plant! 😛 I was cracking up at your snap! haha! “The plant that lived.” Hahaha I’m dying laughing. This little DIY turned out wonderful. I like the tropical aesthetic you have going on!